Running an online store is tricky business. Know how much to charge and you can be at the peak. Don’t know how much to charge and you stand to lose your customers’ trust forever. Therefore, the questions pertaining to adding extra cost for products, running specific promotions etc. should always be dealt with caution. It’s like walking on thin ice. You need to add extra costs in a way that help you cover business expenses and at the same time don’t let you down in customers’ eyes. Now, once you have decided that you need to add extra cost depending on specific circumstances, you need to automate this entire process. Otherwise, the entire task can become a nightmare and you will spend time only managing extra cost rather than focusing on other aspects. This is where the Advance Extra Cost Plugin can be of amazing help to WooCommerce shop owners. How does Advance Extra Cost Plugin for WooCommerce help? The plugin has been developed to help you add extra fixed charges on orders which can be specific on the basis of products, categories, countries, amount etc. The Advance Extra Cost Plugin offers 12 options to add extra cost. Add Remove All Extra Cost based on Maximum Total. 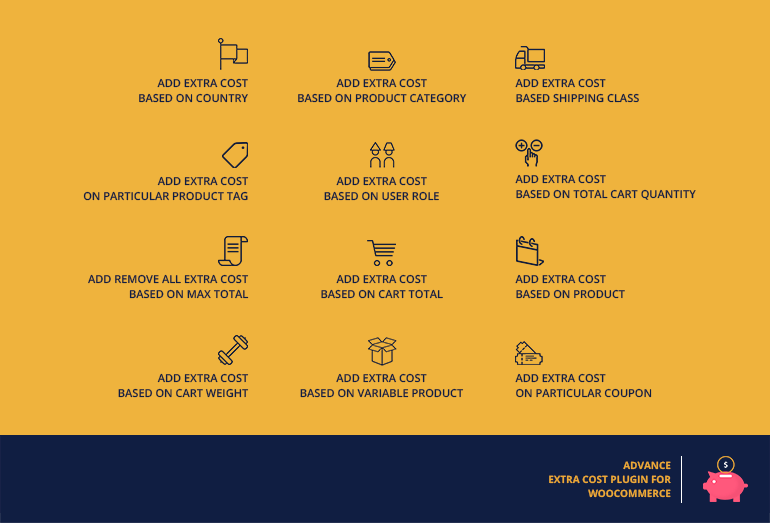 For instance, you want to levy extra cost of $15 and $5 on orders from US and India respectively, you can do so by selecting the Extra Cost feature based on country. See below. For instance, you want to levy extra cost of $15 and $5 on orders from US and India respectively, you can do so by selecting the Extra Fees feature based on country. See below. Similarly, you can even levy extra cost based on shipping class. 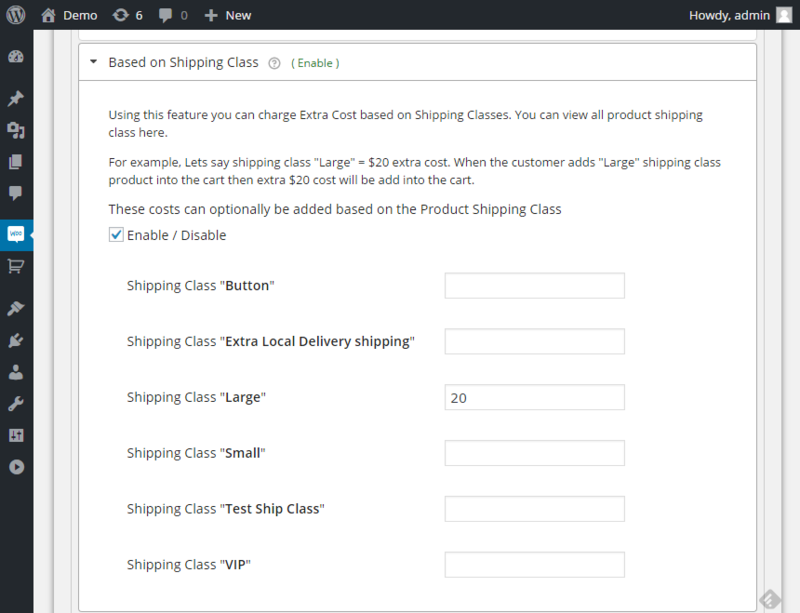 For instance, you want to charge $20 for the Shipping Class ‘Large’ option when a customer selects it, you can enable the feature and put in the amount you want to charge and there you go! The Advance Extra Cost Plugin for WooCommerce offers similar other options for various categories as per your store requirements. Currently, the Plugin is available both as a free and paid version. You can check out the free version before buying additional features. Here are both the links.